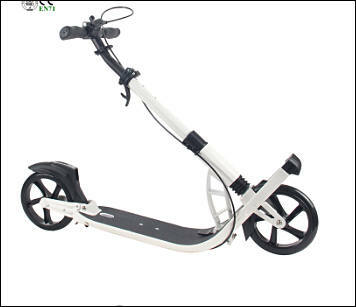 In October, The Information reported that Bird was spending $551 per scooter with a goal of reducing that cost to $360. At the time, I said that meant Bird needed five rides a day on a $551 scooter for 5.25 months just to recoup the initial cost. Our scooter company walks away with $2.32 in revenue per day from the average scooter in Louisville. As we said at the beginning, Louisville data indicates that the average scooter was around for between 28 and 32 days. That means the typical scooter generated something like $65 to $75 in revenue for the company after most operating costs over its lifetime. Estimate on cost of disposing dead scooter carcass? Are they recyclable? They do not care much, as they use free money and wait for IPO to get more of the same. Charging the batteries of shareable electric scooters overnight — the latest entry in our metastasizing gig economy — can be a bit of a thankless task. The pay is minimal, the scooters can be hard to find, and freelancers often complain about unsafe conditions. Lime, one of the main players in the shareable e-scooter business, is looking to bring some order to the chaos. Looking at average trip all this guys can do much better with normal kick scooters. And much better for clients health. @ Vitaliy "Looking at average trip all this guys can do much better with normal kick scooters. And much better for clients health." Have you any suggestions for a good kick scooter? Yep, actually had relation to development of few.